Hi Everyone! Today I am here with another review for you all guys. 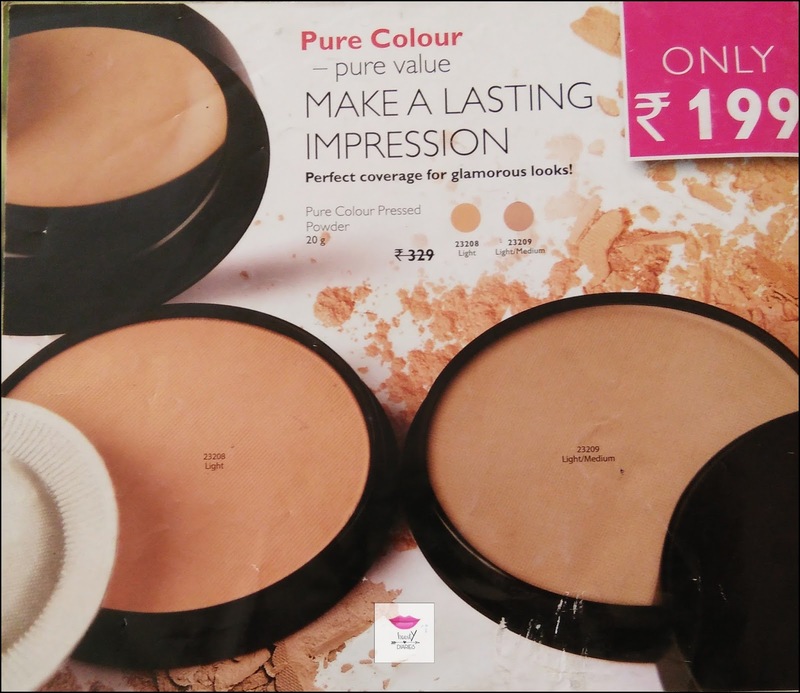 I’m going to share my opinion and experience about Oriflame Pure Color Pressed Powder. I’ve already done a review about a few Oriflame products and there are many more to come.. So this pressed powder has only two shades available: Light (23208) and Light/Medium (23209). I ordered “Light” for myself as that seemed to match my skin tone in the Oriflame monthly catalogue. 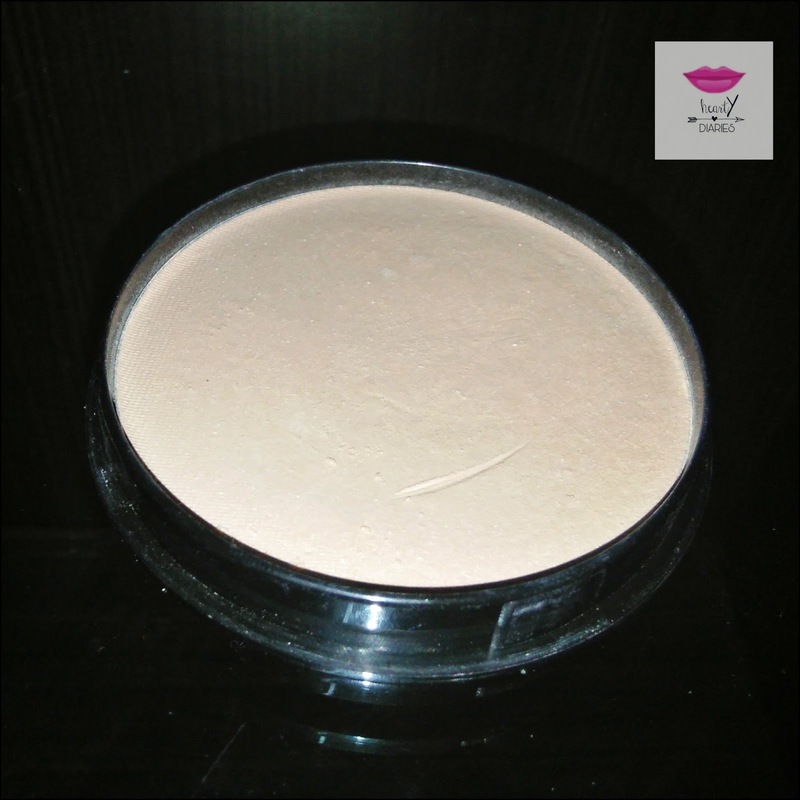 Product Description: Touch yourself up with this ultra-fine powder and give yourself a light, natural complexion. Its lightweight foundation contains mineral zeolite to help smoothen the skin. Includes a mirror and powder puff within the product cap. Perfect coverage for glamorous looks! 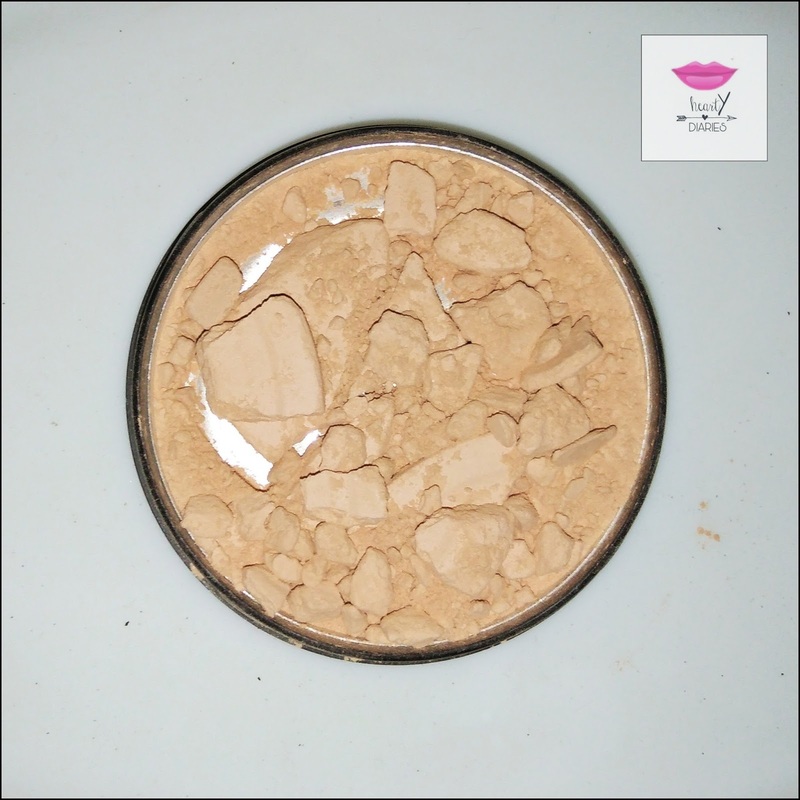 Ingredients: Talc, Kaolin, Zinc, Stearate, Isopropyl, Palmitate, Parfum, Methylparaben, Propylparaben, CI 77492, CI 77491, CI 77891, CI 77499. Packaging: This pressed powder comes in a black basic cardboard box which has all the imortant details mentioned on it. The actual product comes in a black pan which has a black screw lid (twist and open types) and a puff inside. The lid is not attached to the pan unlike almost all compacts but has a good quality mirror in it. 3. 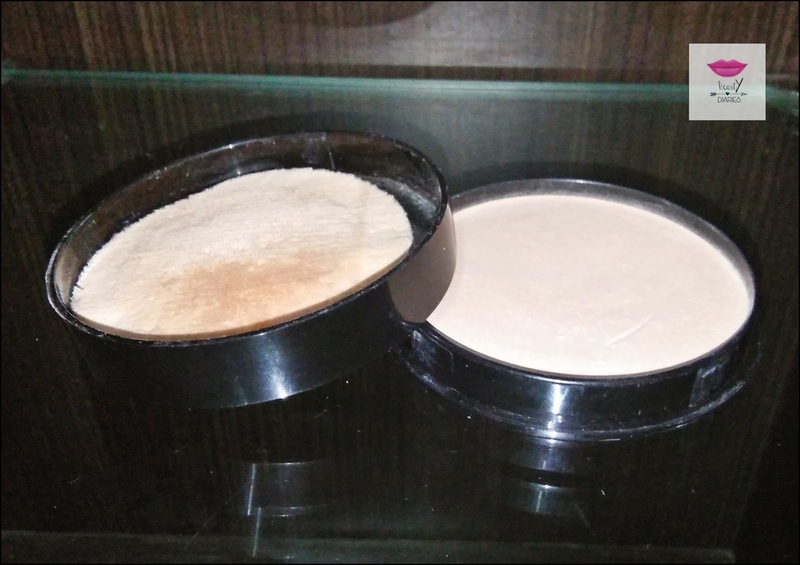 The pressed powder formula is somewhat very soft unlike how the compacts should actually be due to which it completely broke in a single go. I have dropped many compacts earlier but the worst that happened was just a crack. 5. Even though the compact is light weight, I wouldn’t prefer it while travelling as neither the lid is convenient nor the formula is good. It may break again. A compact powder is basically meant for setting our base makeup in place giving it an even look without making the face excessively powdery. I must say this compact controls oil and helps setting base makeup in place but ends up looking patchy on the skin. It doesn’t give a flawless finish at all. I am also unhappy with the coverage. It could definitely have a good coverage but fails to have so. I dropped this compact accidentally and it broke off completely. I thought I mishandled it but when I read the reviews on Amazon and other online shopping portals, I came to know that it was a problem most of the people faced. It is not at all travel friendly. Even though Oriflame keeps on having discounts, it is expensive for the result it has. No. I would rather try other compacts. It doesn’t do what it claims and I hate the fact that it is very fragile and prone to breakage. I am neither happy with the coverage nor with the finish of this product. We should atleast get a little spf in Rs. 329. Is it affordable and worth the money? No. Even though you can get it for as low as Rs. 150 online due to heavy discounts available, it is not worth the money we pay. A product is affordable only if it is able to serve the needs of the consumers. I would rather suggest you to explore other brands in same range or even under it such as Maybelline, Lakme, Colorbar, Hillary Rhoda etc. Do not forget to like my Facebook page, follow me on Instagram, Twitter, Bloglovin’ and Roposo and ask me questions (even anonymously) on ask.fm! Ohh. I thought it was a good compact powder..